We offer custom Home and Property Insurance coverage to help Burlington residents protect their homes, their assets, and their families. Purchasing a home is likely the most substantial investment you'll ever make. By protecting that investment, you protect your financial future, and your family's, too. Our team knows that the right home and property insurance is of utmost importance to our clients' well being — and to that of their families. We'll make sure you understand how homeowners insurance protects you, and what your coverage options are. We can help you navigate the wide range of insurance options at your disposal, and construct a plan that will meet your unique home and property insurance needs. Most importantly, we'll make sure you're not paying for protection you don't need or want, so that you can better focus resources on the things that really matter to you. We'll evaluate your individual requirements, and work with you to develop just the right custom home and property insurance plan for you. 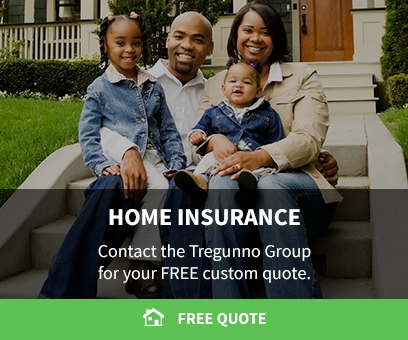 The Tregunno Group will provide the personalized service you deserve. Contact us today to get started with a FREE Home & Property Insurance quote. We understand that the claims process can be overwhelming. We'll be there to guide you, and advocate on your behalf.